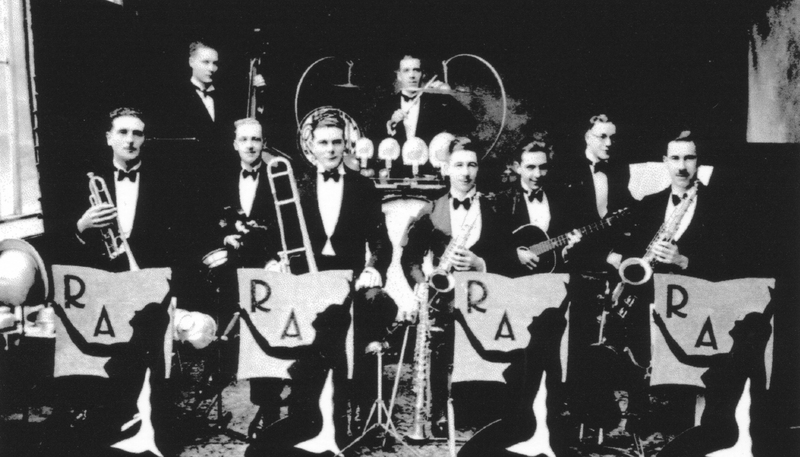 The Wolverton Band comprised of twenty-four players, there were three trombones, a first, a second and a bass all the men worked in Wolverton Works. Doug won various medals, two gold were won on the violin when he was twenty-one, most of the others were brass band. When Doug was about eighteen there were around six or seven small five piece dance bands in the area. Doug wasn’t very interested as he had trained as a classical man. He eventually joined the dance band world by joining Cyril Denton and his band. After a couple of seasons he then started his five piece own band. Several local bands then began to meet at the Craufurd Arms in Wolverton on a Sunday morning. After being approached by several other bands he met there Doug eventually took over the Cyril Hardwick band and called the new band The Rhythm Aces. In 1948 the national Railway Queen came to Wolverton Works for a BBC radio broadcast hosted by Brian Johnson, the Rhythm Aces were the chosen band. This entry was posted in People, Wolverton, Wolverton Works. Bookmark the permalink.